Società Chimica Italiana (SCI) in collaboration with European Chemical Society (EuChemS), Federchimica (the Italian Federation of the chemical industry), Farmindustria (Italian Association of pharmaceutical companies) and the support of Italian Interuniversity Consortium of Materials Science and Technology (INSTM) and Italian Association of Science & Technology of Macromolecules (AIM) invite you to attend to CIS 2019, a new international event opening a new perspective in the interaction between research, industry and society in the field of chemistry. strategic aspects of research identified by public agencies to foster competiveness in the area of chemistry and address societal grand-challenges. 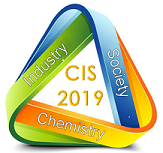 In particular, CIS 2019 wants to show the strategic role of Chemistry to foster progress and innovation, with reference to broad topics such as Energy, Health, Sustainability, Security, and Everyday life.